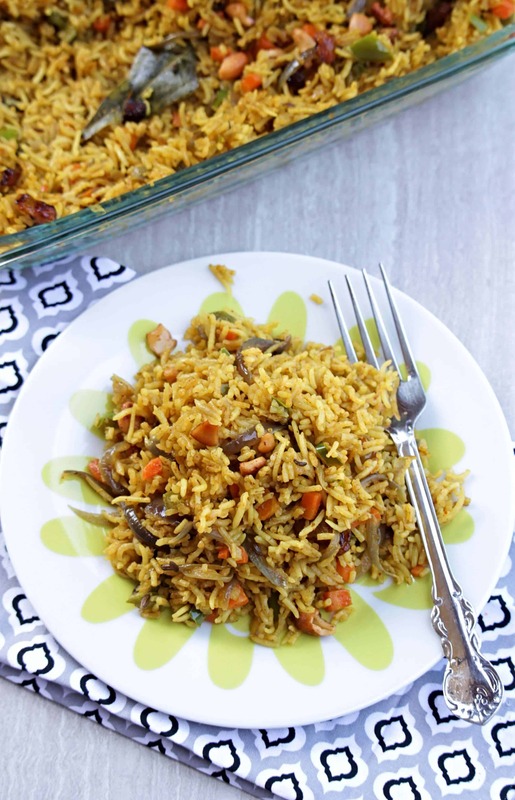 Simple Vegetable Biriyani, is a quick one pot recipe that can be eaten as is as a meal or as a part of the lunch menu. 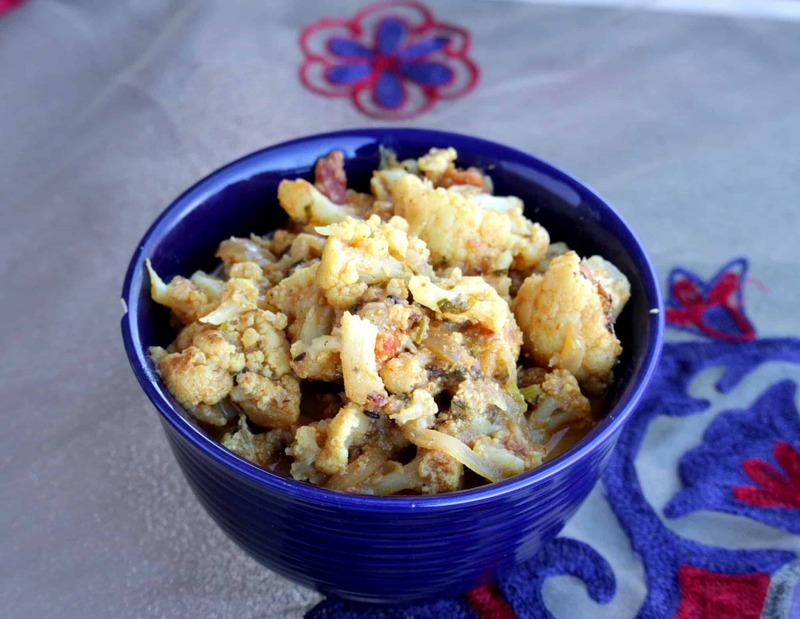 This is Vegan recipe that is great for lunch boxes. Simple Vegetable Biriyani, like the name says is the easiest one pot meal that you could make for lunch boxes or for a weekend spread. You make it for 2 or for 10, the recipe is pretty straight forward. There are days when I make the elaborate Biriyani by marinating the vegetables, making my own spice mix and so on. But that does not work for the everyday cooking. As much as I am always insisting on making your spice mix, I also keep a box of store bought masala box in my pantry. 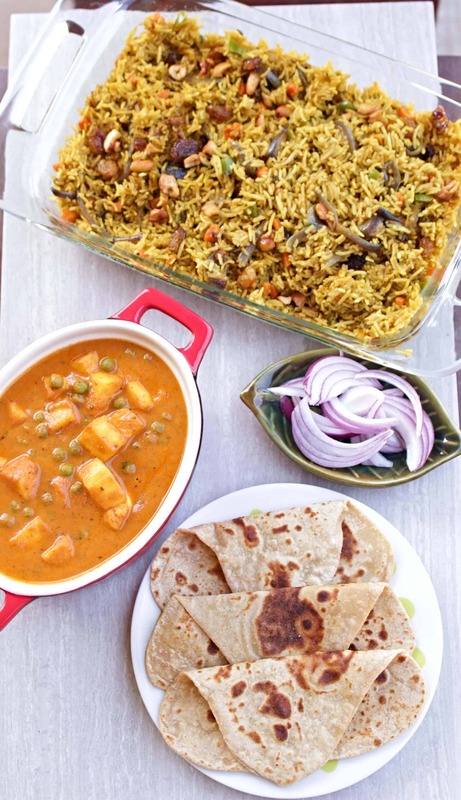 This is not just for Biriyani, but also for Pav bhaji and Chana Masala. There are days when all of sudden the boys ask me to make Pav bhaji for dinner. Those are the times when the store bought spices really help. 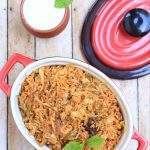 I use the store bought Biriyani masala exclusively in my mornings when I am packing their lunch boxes. This recipe gets all 4 of us through for the day and it does not even need any fancy side dishes. 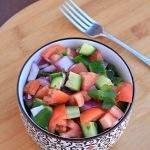 We just need a simple cucumber raita or even plain yogurt works great. This is also one way I can get an assortment of vegetable in my kid’s meal. Ever since I have started using the Instant Pot, I don’t make it on the stove top anymore. But not everyone has instant pot and hence I made this last weekend on stove top. I do not have pictures for the instant pot method yet and I will edit the recipe when I make it next time. In the mean time, I have the recipe written out on the Instant pot procedure. 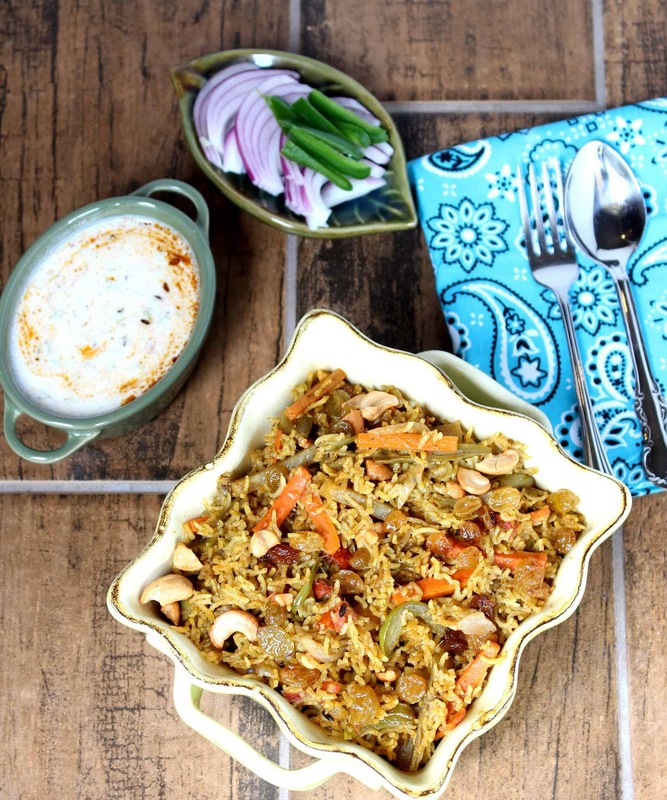 I served it last weekend as a part of my meal that has Matar paneer, Avocado Paratha and this Simple Vegetable Biriyani. My theme for BM this week is Meal time dishes and this is my second recipe under this theme. Wash and soak the rice for about 30 minutes if possible. If not, soak it before you start chopping vegetables to give it about 10 minutes. In a heavy bottom pan, heat oil and or ghee if using. Add the whole spices; cumin seeds, fennel seeds, bay leaf, cinnamon and cardamom. Let it fry for about 30 seconds. Now add the sliced onion and saute until translucent. Add the rest of the chopped vegetables – I used bell pepper and carrot. We can use potatoes, peas, green beans, cabbage and cauliflower as well. I see this recipe as a good way to use the little bit of leftover vegetable that I have in the refrigerator. Saute the vegetables for couple of minutes and then add the turmeric powder, red chili powder and the biriyani masala. Give it a quick stir and then add the drained rice. Mix it gently and let it all fry for about 30 seconds. Add the water needed along with salt to cook the rice and mix well. Let the mixture come to a boil and then simmer the flame and cover the pot with the lid. Let it cook on the lowest flame until the rice is completely cooked. This takes about 10 to 12 minutes. Check the rice in between to see if it is cooking. 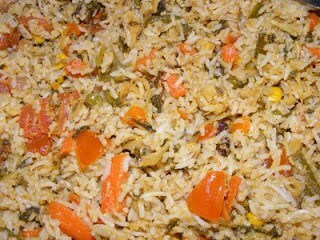 Do not mix it too often as you will break the long rice pieces. 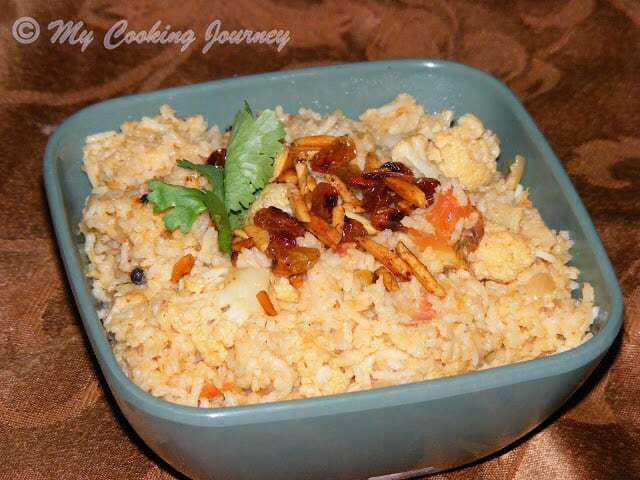 When all the water has been absorbed and the rice appears cooked, turn off the flame and fluff it lightly with fork. Let it sit for few more minutes covered. 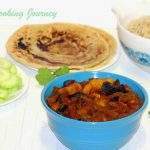 Serve warm with raita and or plain yogurt. 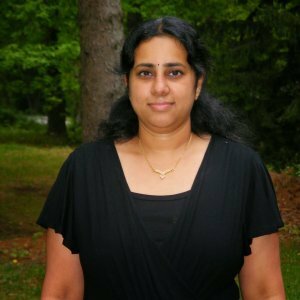 In the inner pot of the instant pot, add the oil and or ghee. Turn the pot on saute mode. When the pot displays hot, add the whole spices; cumin seeds, fennel seeds, bay leaf, cinnamon and cardamom. Let it fry for about 10 seconds. Add the rest of the chopped vegetables – I used bell pepper and carrot. We can use potatoes, peas, green beans, cabbage and cauliflower as well. Give it a quick stir and then add the drained rice. Mix it gently and let it all fry for about 15 seconds. Turn off the instant pot and close the lid. Now turn it back on Manual setting and set it to 6 minutes with the vent closed. Once the timer goes off, wait for 10 minutes and then release the pressure by turning the seal to vent position. 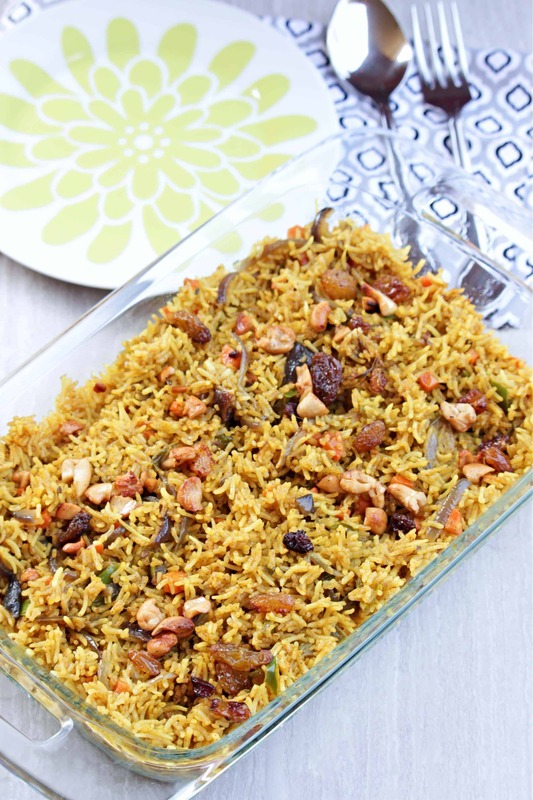 The biriyani is now ready to serve! Add the rest of the chopped vegetables - I used bell pepper and carrot. We can use potatoes, peas, green beans, cabbage and cauliflower as well. I see this recipe as a good way to use the little bit of leftover vegetable that I have in the refrigerator. Add the rest of the chopped vegetables - I used bell pepper and carrot. We can use potatoes, peas, green beans, cabbage and cauliflower as well. Love that spread so much Sandhya. 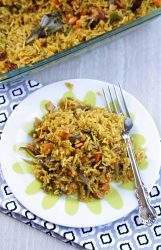 The biryani sounds so simple to make and loaded with veggies, this is a nice way of feeding kids with vegetables. Such a colourful and eye catching one pot meal, prefect meal for a get together or for a sunday meal. Lovely dish there. Look like delicious. I will make it. Thank you!! I love one pot meals. Biryani has turned out so good. 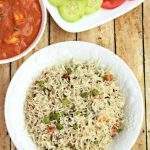 Your Biryani looks so scrumptious so rich in flavors!! I recently bought Instapot, have to try this soon in it!! thanks for sharing the recipe!! Looks colorful and yumm, Sandhya. Perfect for a leisurely meal. I remember buying the biryani masala in my initial cooking days. Your biryani looks colorful and very inviting. 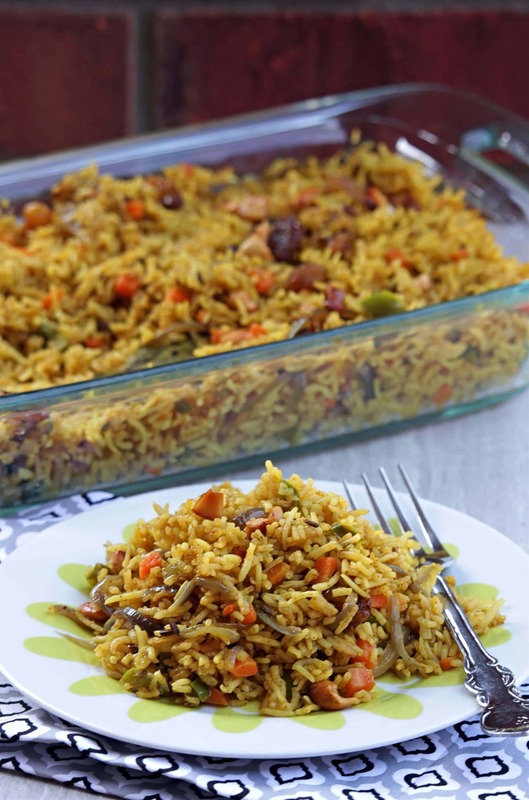 biryani looks so colorful and inviting and with all those spices – definitely I would enjoy this biryani for sure!!! 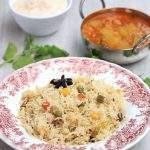 Biryani looks so colourful and inviting Sandhya, too good!